Parkinson’s is one of the biggest neurological health problems facing the UK. It can strike anyone at any time regardless of age, gender or race and it devastates lives. There are approximately 3,600 people living with Parkinson’s in Northern Ireland. Parkinson’s can change someone’s life dramatically; it affects every aspect of daily life. Not only do tremors, stiffness and slowness of movement affect people with Parkinson’s, but less recognised symptoms including depression, medication side effects and addictive behaviours can have a devastating impact on people’s lives. Parkinson’s UK is the leading Parkinson’s support and research charity – we are here so that no one has to face Parkinson’s alone. Research - We fund ground-breaking research to advance understanding of Parkinson’s and improve treatments. We’ll overcome the symptoms and find a cure. Information - We are passionate about ensuring that everyone has access to the services and care Information. Friendship and Support - We offer friendship and support to everyone living with Parkinson’s, and their families and carers. Campaigning - We raise awareness, change perceptions and demand better services. Fundraising - Our work is totally dependant on donations. We inspire people to support us. 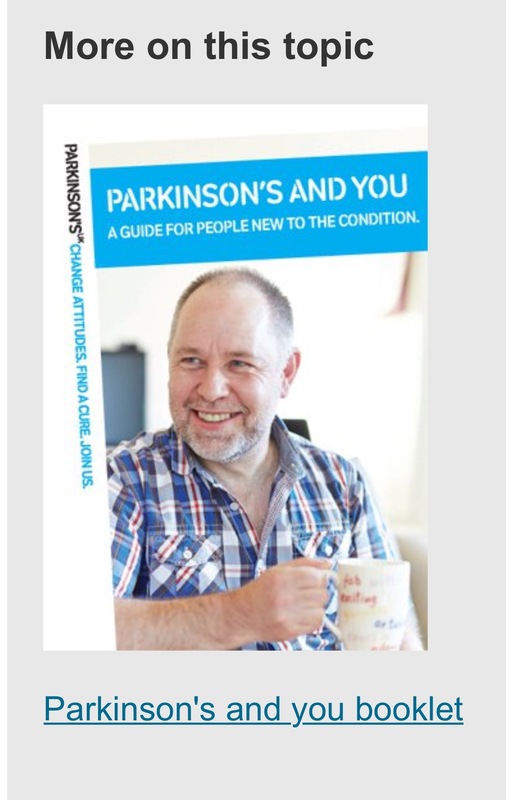 If you have Parkinson's - or you know someone who has - we have the right support for you. Call our confidential helpline 0808 800 0303.